We all know why we choose to buy things online rather than going in store, and it’s not because you can get cashback. 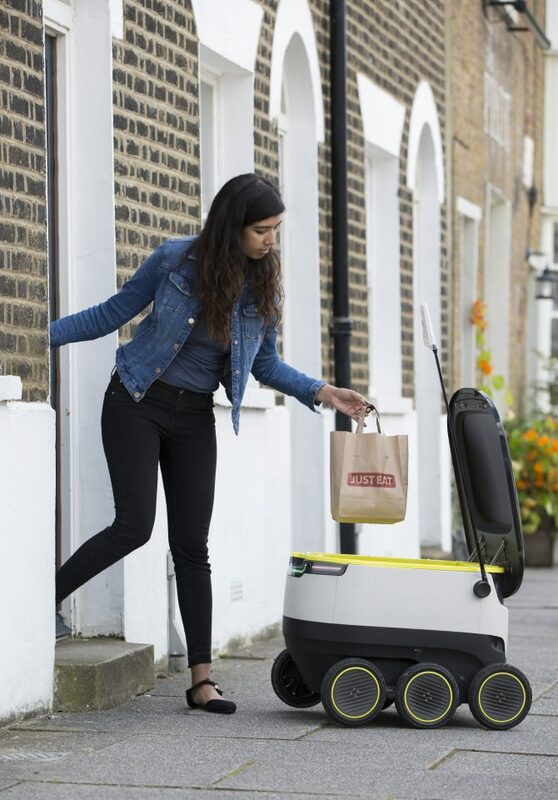 Just Eat has just taken avoiding human contact to another level with its plan to introduce robot delivery drivers. According to its website it’s planning to roll out robot takeaway deliveries in London first of all and the testing programme is expected to begin within the next few months. Further details of the restaurants taking part in the trial will be announced shortly. Just Eat are working in partnership with Starship Technologies, established in 2014 by the co-founders of Skype. It has developed robots to deliver food, packages and goods to consumers within a short radius of their point of origin. Customers will be sent a secure code to access their meals from the robots once they arrive. As far as we can tell, this isn’t an April Fools prank (it’s July, for a start), and they really are going to start doing this. From the promo shots the robots are slightly ridiculous looking, but they look secure enough that nobody’s going to break in and steal your Chinese. The robots are designed to drive autonomously while being monitored by human operators in control centres who can take over at any time. Introduced to European and American cities since the end of last year, the robots have already driven close to 5,000 miles and met over 400,000 people without a single accident, using cameras, sensors and other technology to navigate their way through urban streets. What do you think? Should delivery drivers be looking for a new career?